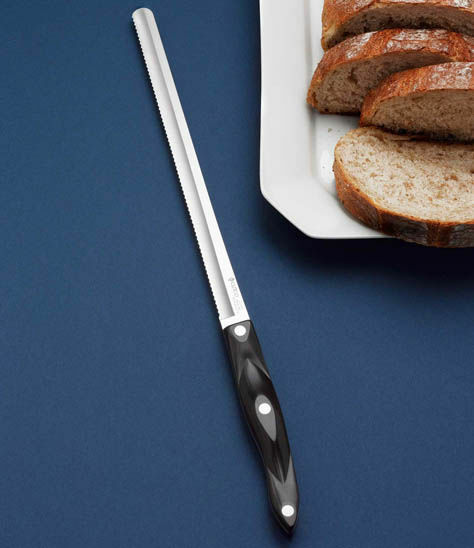 Say goodbye to squashed bread. This bread knife glides effortlessly through freshly baked breads. 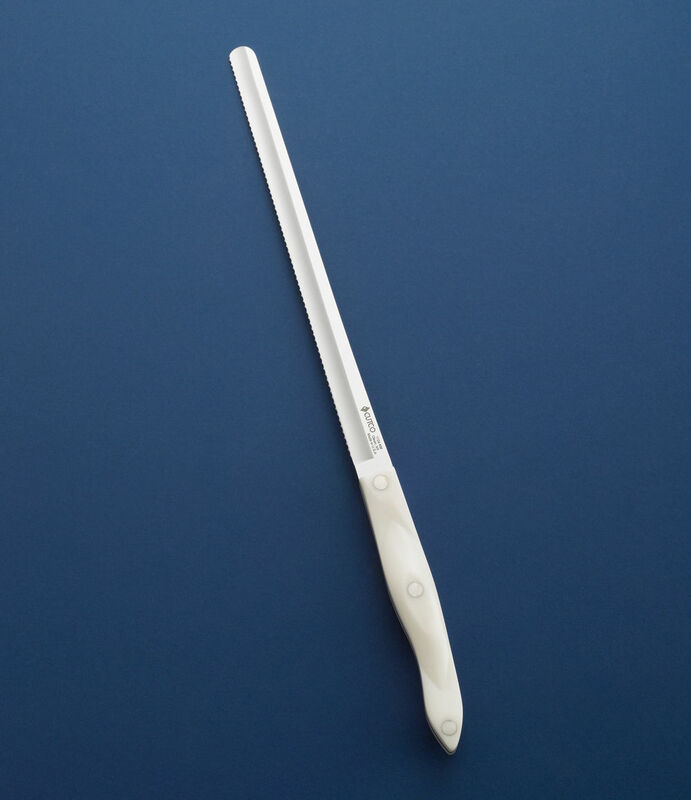 The long, narrow blade provides thin slices with one continuous stroke. 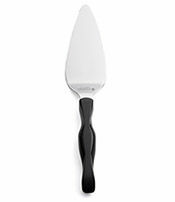 Great for slicing angel food cake, baguettes, boneless ham and for shredding cabbage. 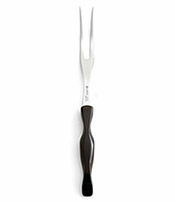 Cutco's 9-3/4" Slicer makes slicing meats, poultry, seafood and breads effortless. 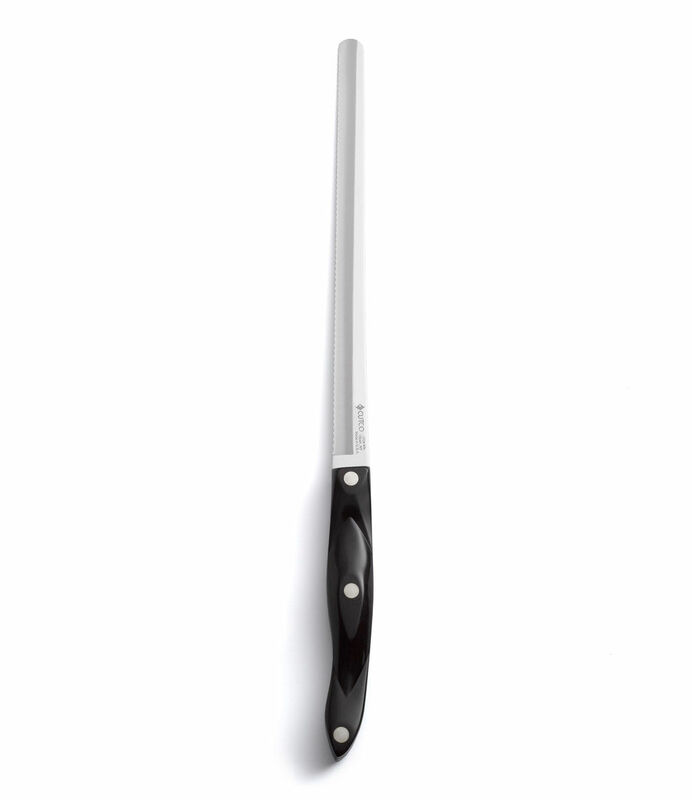 Graceful, sleek and sharp. 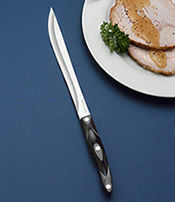 the Double-D® edge and rounded tip makes easy work of ham roasts, prime rib, and even angel food cake. 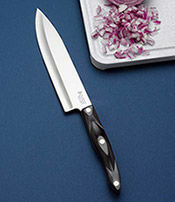 Also available as a 7-3/4" Petite Slicer or a Santoku-Style 10" Slicer. 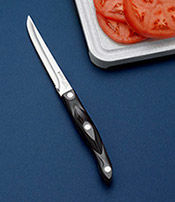 Like all Cutco products, the 9-3/4" Slicer is guaranteed forever. 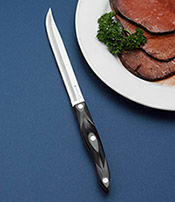 This knife is fantastic. 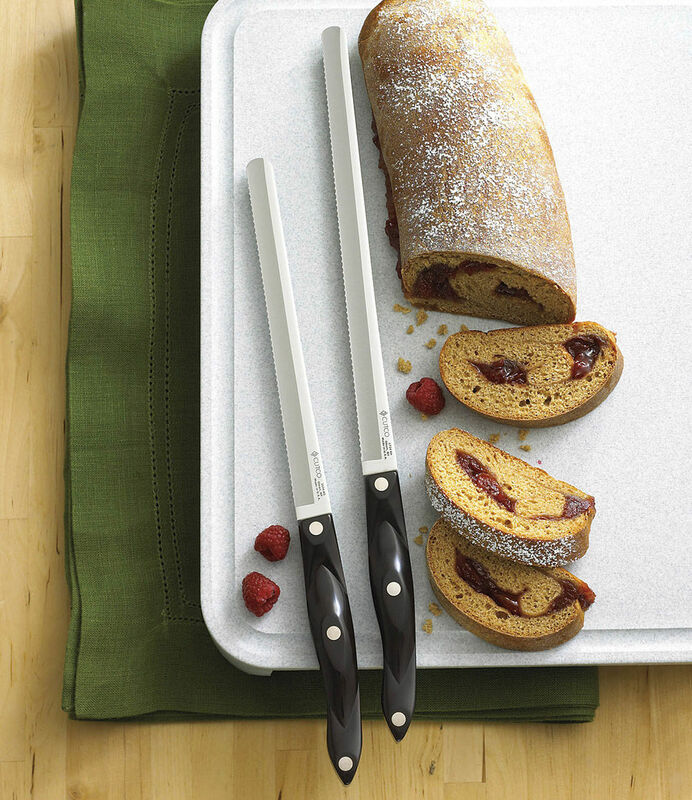 You truly can cut through a loaf of bread without squishing it or it tearing all apart. 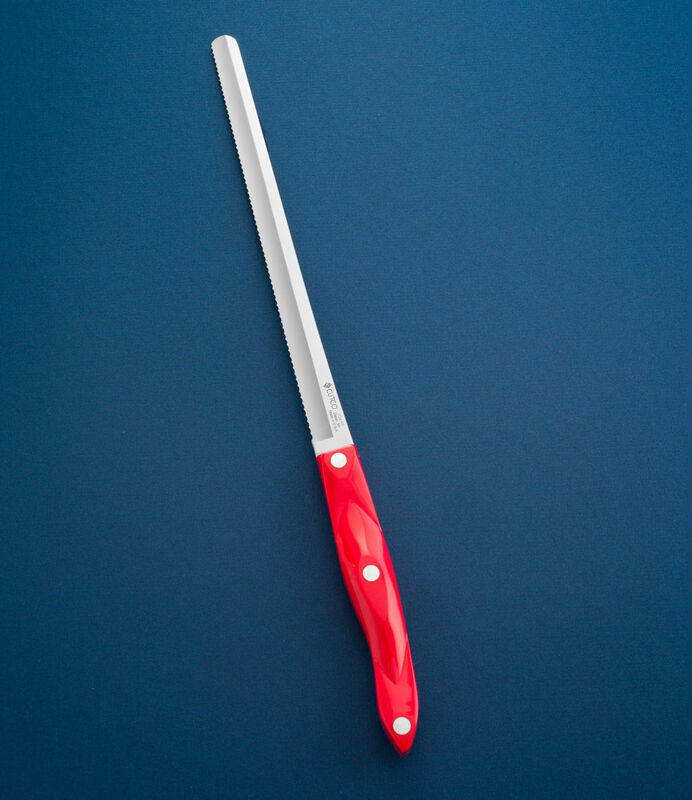 It cuts smooth as butter. 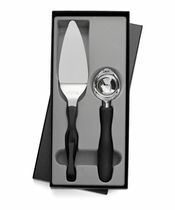 I also use this knife to cut cheese for parties. It is so easy to get through and will not harm the knife. Absolutely love it.